In May 1980, the Victura was brought to the John F. Kennedy Presidential Library by the Kennedy family, and it has been under our care ever since. In this special year, as we celebrate the Centennial of President Kennedy's birth, we’re asking for your help to preserve this iconic piece of American history, so that it can be enjoyed for generations to come. What is the Victura and why is it so special? 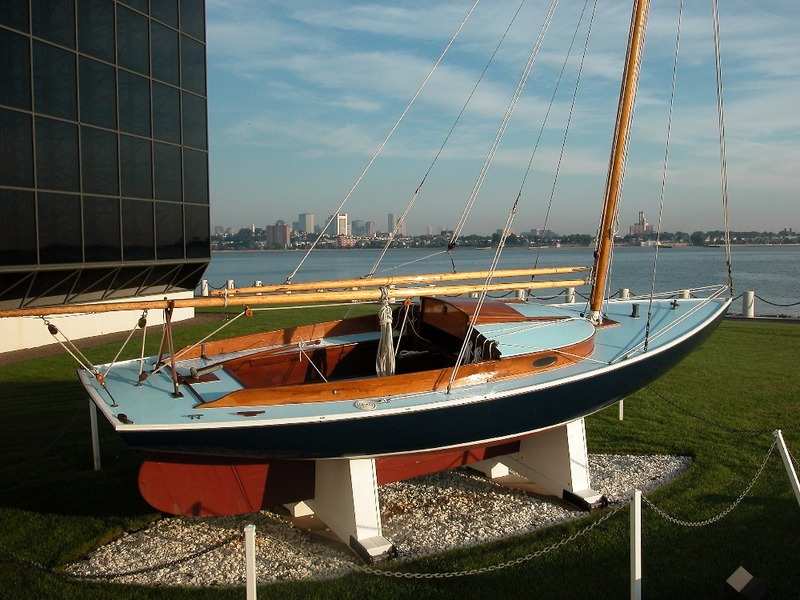 The Victura was John F. Kennedy’s beloved sailboat. 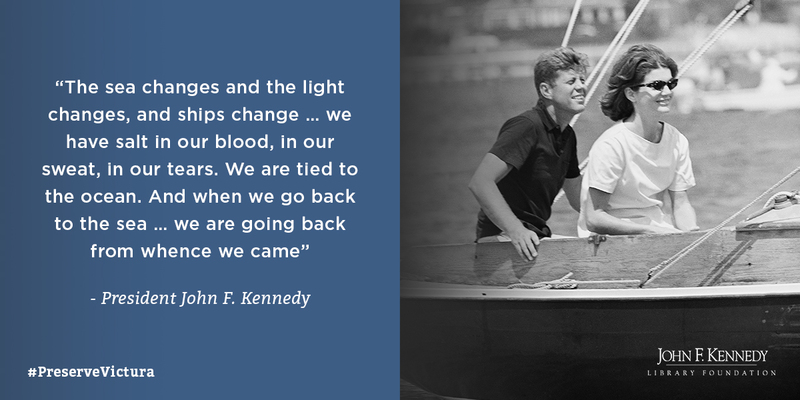 JFK had a lifelong passion for sailing the waters of Cape Cod, Massachusetts. 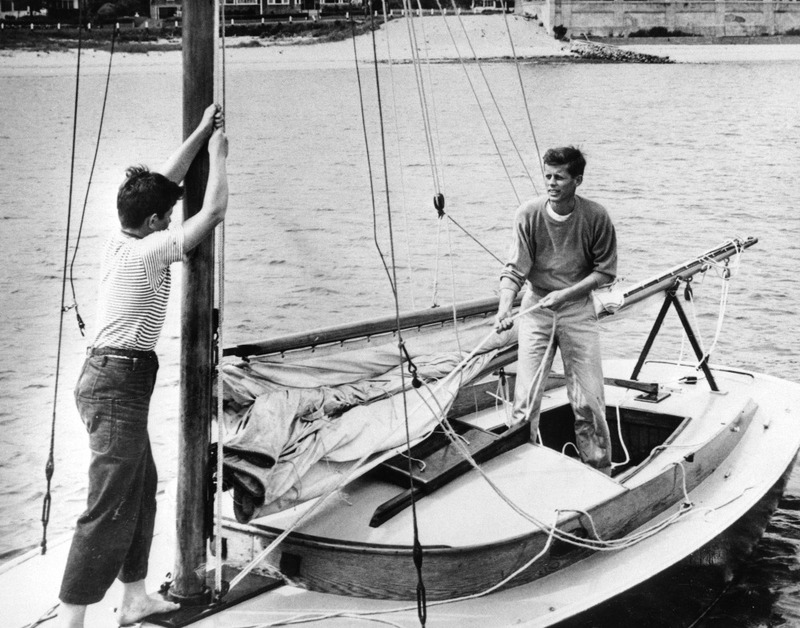 To the Kennedy family, summertime meant afternoons sailing, and JFK and his siblings would often be found out on the water, racing each other in small sailboats. 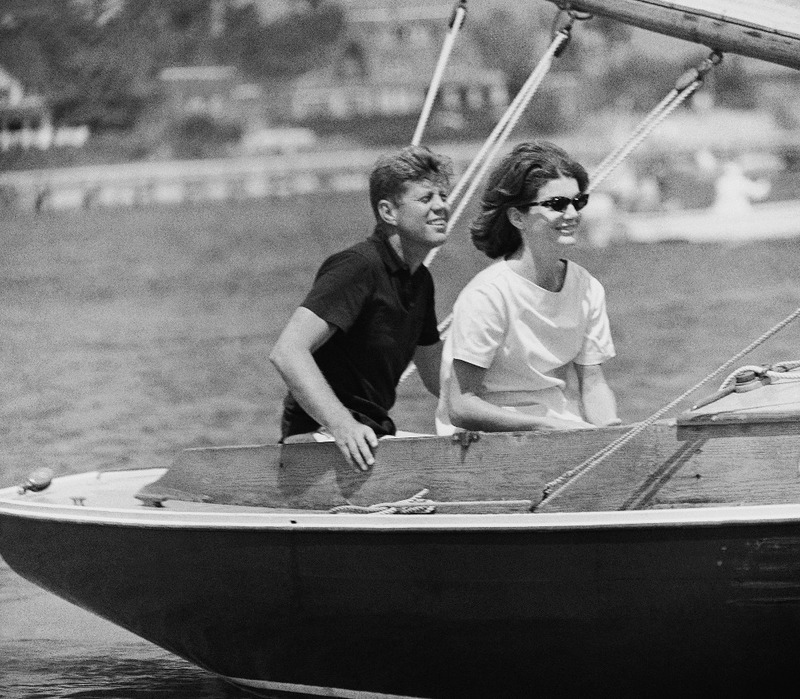 The boat itself is one of only about 200 Wianno Seniors ever built, and it was purchased when JFK was 15. He named the boat Victura, which means “she who is about to conquer” in Latin—a subject he struggled with in school. It was the perfect name for what was to become a treasure of the Kennedy family. Summer after summer, and indeed through his presidency, the Victura remained a central part of JFK's life. It was his escape. It was where he could unwind and reconnect with his roots and his family. 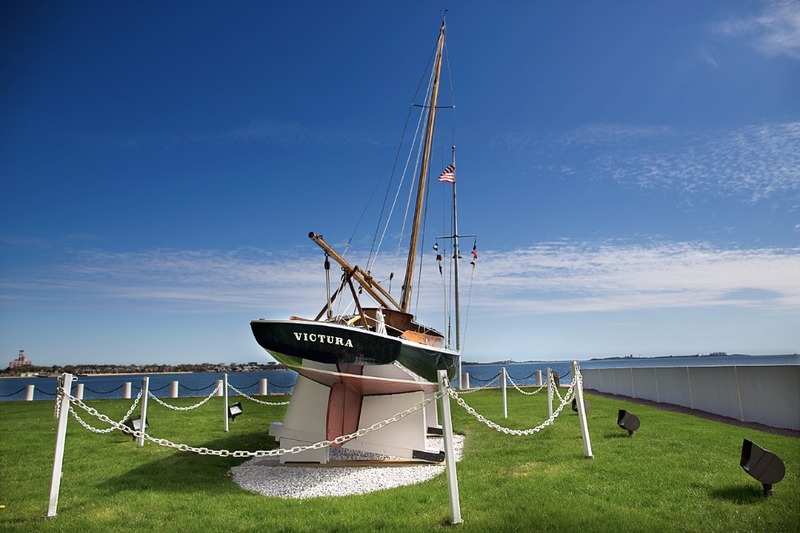 The Victura sits on the JFK Library’s lawn every summer, pointing out to the Boston Harbor and the Atlantic beyond. Each winter, the Victura is sent to Crosby Yacht Yard for protection from the harsh elements. Now 85 years old, the boat is a true antique and requires highly-specialized work and care to keep it in pristine condition. It has endured a lot: in 1936 it was struck by lightning; then in 1944, it was saved from a hurricane only when JFK himself dragged it ashore during the storm. There have been many close calls along the way—but the Kennedy Library is dedicated to doing whatever we can to preserve this sailboat and the legacy it carries for generations to come. Each year, the Victura needs preservation work to prevent deterioration from the elements. Since it is displayed outdoors in all weather throughout the summer and fall months, the Victura is vulnerable to the variable New England weather, from scorching sunlight to driving rain. Because of this, each year, a skilled team of conservators works to make sure that any damage is reversed before it can cause long-term harm to the boat. On average, the Victura requires between 100 and 125 hours of preservation work each year. Such work can include everything from sanding and touching up paint to redoing the protective varnish coating. All to ensure that the Victura will remain in its current well-preserved state for years to come to be enjoyed by the thousands of Library visitors, young and old, who pass through our doors every year. We need your help to ensure that this important work continues. With your help, we will be able to preserve the Victura so new generations can view it in its rightful home, at President Kennedy's Library on the Boston Harbor. - Costs for materials, tools, and conservation experts for the preservation work – this can include sanding, varnishing, painting, and general repairs to the boat. - Display of the Victura on the Library’s lawn – includes security, lighting, and other display costs. - Educational, archival, and museum programming related to the Victura and President Kennedy's legacy. - Publicity for the Victura and related items and programs. Gifts up to $10: Personal thank you email plus subscription to the JFK Library’s e-news. Every dollar helps – thank you! Deckhand, $10: Digital image of the Victura – get a new one every month of the year! Bowman, $25: Sailboat decal! Available exclusively for campaign supporters! Clings to your window to show your proud support of the JFK Library. Plus all benefits at the Deckhand level. Trimmer, $50: Print photo of JFK sailing the Victura, plus all benefits at the Deckhand level. Helmsman, $100: Custom 2018 calendar with photos of the Victura and the Kennedy family. Available exclusively to campaign supporters! Plus all benefits at the Bowman level. *Note: The calendar will be sent in Fall 2017. Navigator, $250: Exclusive invitation to the unveiling of the Victura in May 2017 at the JFK Library. Join us for a chance to see the Victura newly returned to its home at the Library! Date TBD. Plus all benefits at the Helmsman level. Mate, $500: Copy of Victura: The Kennedys, A Sailboat, and the Sea. Only 20 available! Plus all benefits at the Navigator level. First Mate, $1,500: Framed, intricately detailed 5x7 print of President Kennedy’s Victura, by a Massachusetts based artist. Only 15 available! Plus all benefits at the Navigator level. Skipper, $2,500: Invitation to behind-the-scenes tour of the John F. Kennedy Presidential Library, including viewing of photographs relating to the Victura. Only 10 spots available! Plus all benefits at the Navigator level. Captain, $5,000: Signed and numbered lithograph of Jamie Wyeth’s JFK and the Victura. Only 5 available! Produced exclusively for the JFK Library by the artist for the Library’s opening in 1979. Plus all benefits at the Navigator level. All gifts are tax deductible minus an estimation of benefits received. If you would like to waive your benefits to receive a tax receipt for the full amount of your gift, please click the "Contact us" link above and let us know by email, or select "No reward" when donating. Event invitations will be issued within two weeks of the campaign’s end. Please allow up to one month for delivery of physical rewards. Travel and accommodation are the responsibility of the reward recipient. Established in 1963, the John F. Kennedy Library Foundation is a 501(c)3 non-profit, non-partisan organization that provides financial support, staffing, and creative resources to ensure that the Kennedy Presidential Library and Museum is a vibrant, living memorial to our 35th President. Our mission is to inspire public service, civic responsibility, civil rights, scientific discovery, and creative cultural pursuits by preserving and promoting the legacy of President John F. Kennedy, and to continually engage and inspire new audiences with his message of peace, optimism, and service. The JFK Library and Museum is the only presidential library in New England and one of only fourteen in the United States. One of Boston's top tourist attractions, this architectural masterpiece designed by I.M. Pei sits on a 10-acre waterfront site on Columbia Point, offering panoramic views of Boston's skyline and Harbor Islands. I.M. 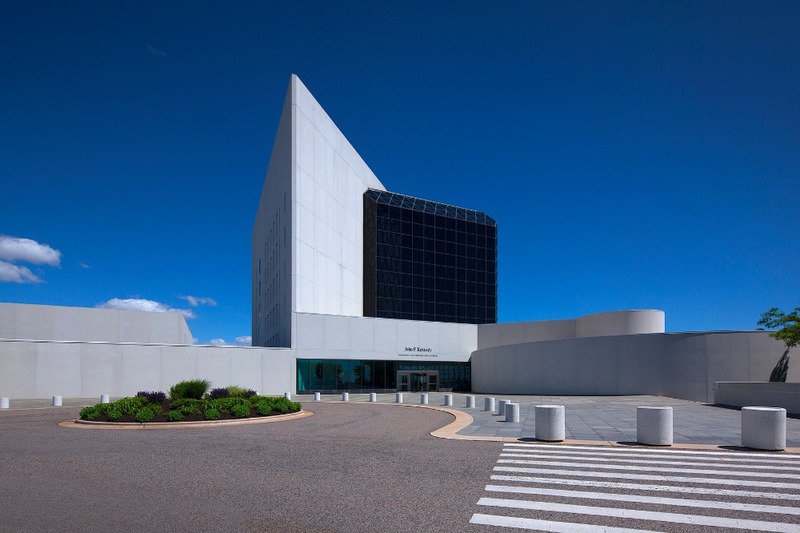 Pei has recently said that the JFK Presidential Library remains his "most important work." Over 200,000 people from around the globe visit the museum each year, and we serve 25,000 students annually through a host of free educational programs that connect the past to the present. In addition, over 4.5 million people access our informational resources online each year. The JFK Library houses and preserves all of the presidential papers and historical materials of John F. Kennedy and many of his associates. Our free programs for the public include: the Kennedy Library Forums; guided tours and education programs for students; multicultural arts performances for families; and an online digital archive where users can access the Library’s historical treasures. The John F. Kennedy Library Foundation is a Guidestar Silver Level Participant , and a Charity Navigator Rated organization, tax identification #04-6113130. Learn more about the JFK100 Centennial Celebration, please visit jfkcentennial.org . We are so grateful to our supporters for helping us to reach our goal to #PreserveVictura. This is our first time crowdfunding, and we’ve been overwhelmed by the incredible response we’ve received from our friends and donors. We’re delighted to have reached our initial goal of $25,000, and will be continuing to accept donations through the end of the campaign on April 19th. There are still plenty of exciting rewards left, and we want to include as many people as possible. Due to the overwhelming support, we’re raising our goal to $40,000 – every additional dollar raised will be allocated towards ensuring that preservation needs continue to be met, and will allow us to expand our educational programming around the Victura at the Library. Our preservation work is costly and time-consuming, and not always flashy – your contributions will help us preserve the Victura and make sure it is protected for the long term. The process will begin within the next couple of weeks to ensure it is completed in time to return Victura to the Library for the JFK100 Centennial Celebrations happening throughout the month of May. Thank you for helping us get this far! Great news! 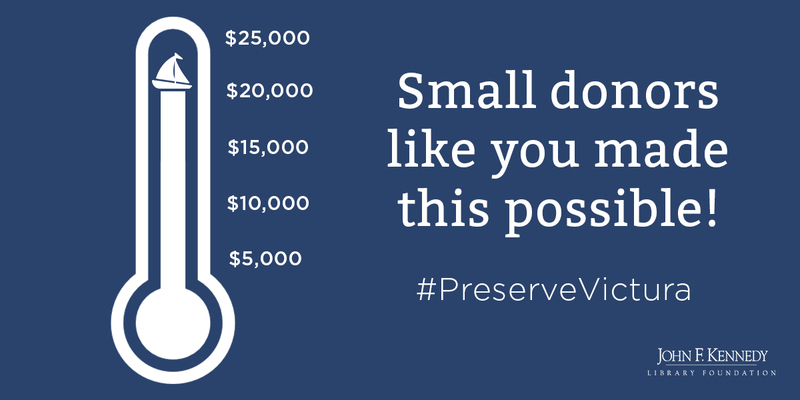 Thanks to our donors, we've reached our goal to #PreserveVictura. The Victura was placed in the Library's care, and with your support, we’ve been able to crowdfund to preserve and protect it. We've reached the goal, but we're still accepting donations until the end of the campaign - every bit helps. Thank you for getting us so far – you’ve made sure that the Victura will stand proud for generations to come. As of this morning, we've raised more than $20,000 to preserve JFK's Victura. Thanks to all of our small and big donors for helping us get this far. It is the JFK Library’s duty to preserve the Victura for generations to come, and we don’t take that responsibility lightly. Please continue to share to help us spread the word. Thank you! Digital image of Victura – get a new one every month of the year! Victura decal - available exclusively to campaign supporters! Plus all benefits at the Deckhand level. Print photo of JFK sailing Victura, plus all benefits at the Deckhand level. Custom 2018 calendar with photos of Victura and the Kennedy family. Available exclusively to campaign supporters! Plus all benefits at the Bowman level. Exclusive invitation to the unveiling of Victura in May 2017 at the JFK Library. Date TBD. Plus all benefits at the Helmsman level. Copy of "Victura: The Kennedys, A Sailboat, and the Sea". Plus all benefits at the Navigator level. Framed, intricately detailed 5x7 print of President Kennedy’s Victura. Plus all benefits at the Navigator level. Invitation to behind-the-scenes tour of the JFK Presidential Library with viewing of Victura related photos. Plus all benefits at the Navigator level. Signed and numbered lithograph of Jamie Wyeth’s JFK and the Victura. Plus all benefits at the Navigator level.